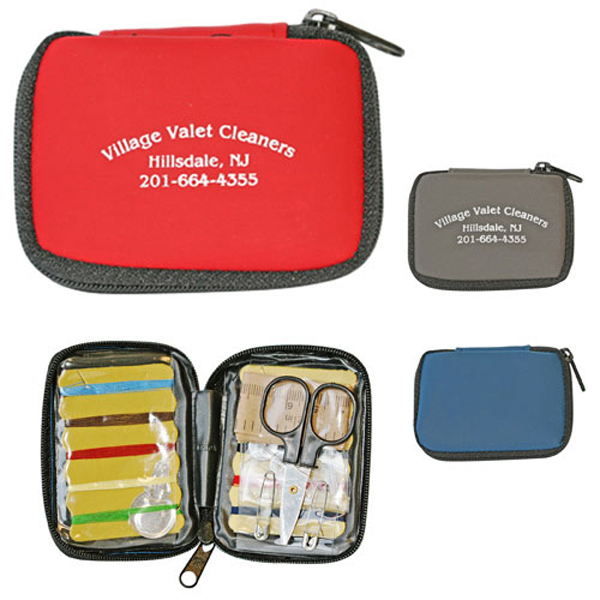 The deluxe travel sewing kit contains scissors, shirt buttons, sewing needles, thread, needle threaded, safety pins and a 25" long measuring tape. Suede touch zippered vinyl pouch. Bulk / 23 lbs lbs / 250 pcs. Imprint Area: 2 1/4" x 1 3/4"